We're all guilty of hoarding clothes, shoes and bags. After all, who can resist a good sale? There are even instances when we invest in a good pair or a designer find. But once you’re holding on to something for sentimental value or because you believe it will fit you again, then it’s time to let it go. Scan through your closet and look for items you haven’t worn for at least a year. These have already reached their expiry date and should be removed from your closet. Go the extra step and get rid of clothes that either don’t go with your current style, don’t fit quite right, or you’ve been meaning to get altered ages ago. 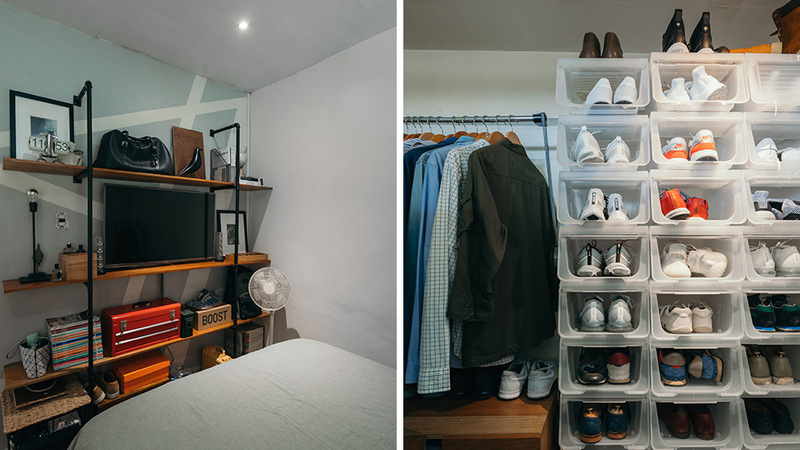 Do this every six months (or less if you’re a frequent shopper) to a year and you’re sure to keep your closet tidy all year round. You can always send your old clothes to a donation box or make a quick buck by selling them at a garage sale. It might be a countertop, a side table, or a windowsill. Whatever the space, there’s always a spot in your house that receives your car keys, loose change, and old receipts, to name a few. Everyday items are fine since they’re constantly being removed and placed there. But when other things get added, (e.g. batteries, candies, pens, a tiny alcohol bottle, a small note pad) it can be a cause for concern. To remedy this, you can purchase catchalls. You can assign a tray for each person in your home. Trays are great ways to corral stuff together to give the appearance of having an organized nook. Plus, when junk accumulates, you know exactly who to assign to clean it up. 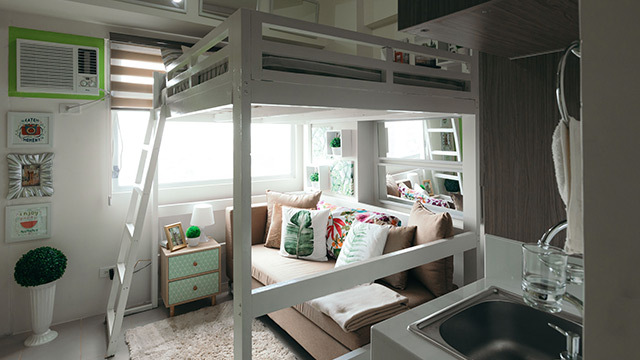 For smaller homes, storage is always a problem. To solve it, you can look for unlikely storage spaces within the space. Put stuff away in bins under your bed or above closets, use the space above doors to put shelves or cabinets, or get furniture pieces that double as storage space. 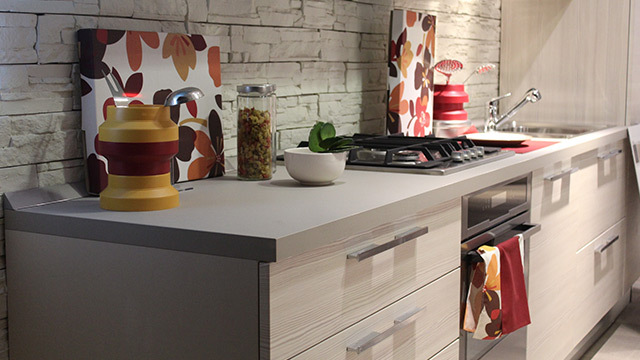 You can do all these or just minimize the things in your home. If you don’t absolutely need it, get rid of it. Do you really need all those kitchen appliances? Will you use all those utensils at once? We don’t think so. Even if you don’t have a pantry or a stockroom, there’s a place where you put all your food goods and cleaning products. 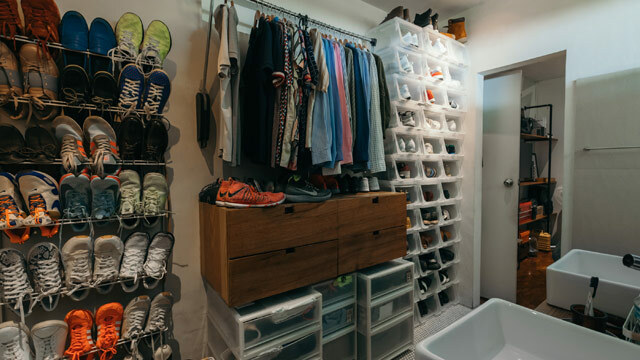 Even if you don’t overstock, these spaces can get untidy fast. 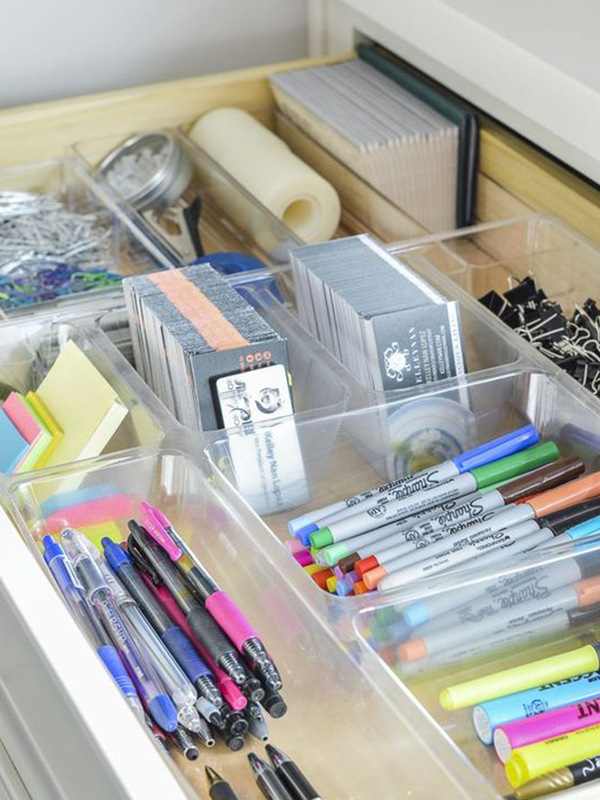 A great way to keep things neat is to get bins, stackable drawers, and other organizing solutions to put everything in their right place. If you already have an idea of the items you regularly buy, organize them in bins and label them. For example, dishwashing items like soap, extra sponges, and brushes go in one bin, laundry items go in another, and sort different-sized trash bags in a small drawer unit. It’s good to note that if you can see there’s no space for it, don’t buy it yet. Every spring cleaning season, this is every parent’s nightmare. Toy bins are never organized. The best thing you can do is to treat it like you would the closet. Look through it every three months to see if there’s anything you can scrap. Kids break toys all the time and there’s no sense in keeping remnants of a once pretty doll or toy car. Do this every time a birthday or Christmas comes around—especially when you only have enough storage, it’s good to get rid of things before you add more in. 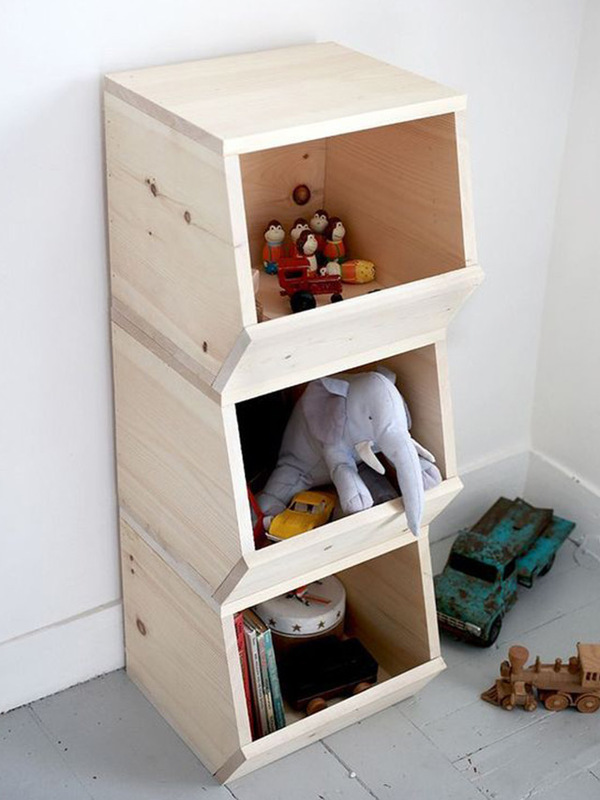 Another great way to keep messy toys at bay is to get open shelves or bins. 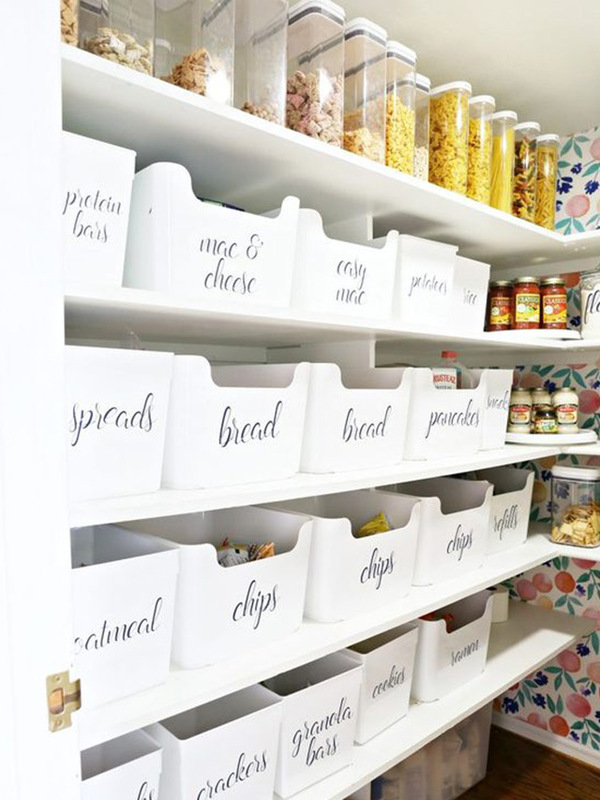 You can label each bin, assigning it to a child or a toy theme (cars, dolls, blocks), and just toss them in instead of trying to cram everything into a toy chest or drawers. It seems common to see items, bags, shoes, and other essentials on the stairs, especially when you're not ready to go up yet. 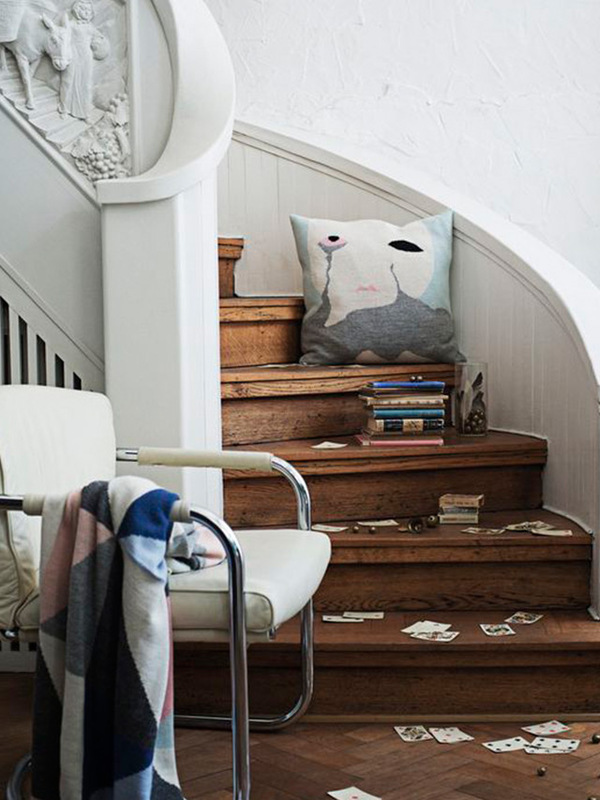 To avoid this eyesore, place a single bin at the foot of your stairs for all the items you mean to bring to your second floor at the end of the day. May it be stray toys, toiletries from the grocery, or your mobile charger, you can simply toss them in the bin and carry them all upstairs when you’re ready. If you simply don’t have the place to put it, don’t get it. The things that come into your home should already have its storage space. Batteries should go in the stock room with other electronic spares, extension cords should go in a tool box, and rolls of tape and paper clips are best left with the other office and school supplies.